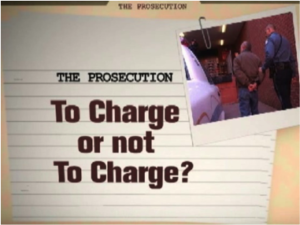 The Rule of Nolle Prosequi, or not prosecuted is Criminal Procedure Rule 585. The Rule is actually called Nolle Prosequi, but is commonly referred to as Nol Prose. This Rule is used when a guilty plea is entered in some offense and the District Attorney consents to the dismissal of the remaining charges. If a good lawyer negotiates a plea deal for his client, there are usually additional charges which must be dismissed. Agreement should always be made with the prosecution to file a motion Nolle Prosequi, or a motion not to prosecute the remaining charges. This has to be done with no objection from any person and the Court must act on the motion. There is a problem that defense lawyers should be aware of and that is when a summary offense is joined with a misdemeanor or a felony. The Judge may order a dismissal of all charges, but if the Judge has ordered the dismissal on all misdemeanors or felonies, the Judge may not remand the summary offenses to the Magistrate for disposition but most dispose of the summary offense in the Court of Common Pleas as required. Therefore, the defense attorney must turn to Criminal Rule of Procedure 589 which calls for the dismissal of summary offenses that are joined with misdemeanors or felonies. A final note of warning to defense lawyers is to make sure that all charges are dismissed except the one being pled to.